The full-scale ASW 28 is a Standard Class glider with a fifteen metre span built of modern fibre reinforced composites. The manufacturer of the ASW-28 is Alexander Schleicher GmbH & Co. The 'W' indicates this is a design of the influential and prolific German designer Gerhard Waibel. Serial production started in 2000. 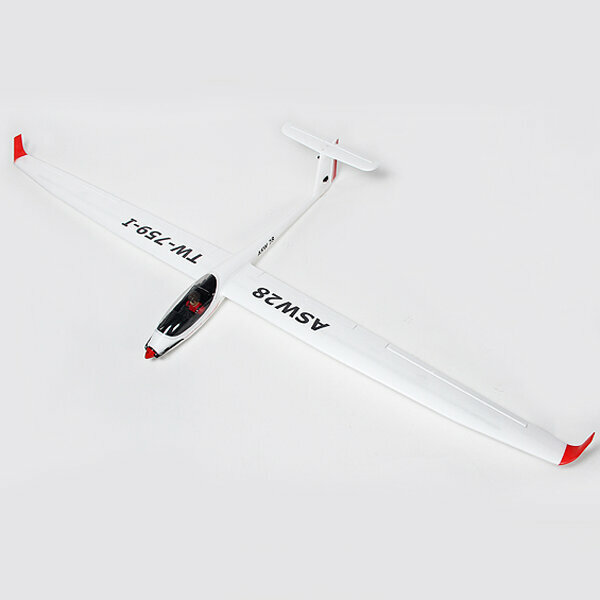 As all Standard Class sailplanes, the ASW-28 does not have flaps or other lift-enhancing devices. It has tall winglets, a retractable undercarriage and a water ballast system. The structure is a complex composite of carbon, aramid and polyethylene fibre reinforced plastic. This permits a light structure with the strength to carry large amounts of water ballast, thus permitting the widest possible range of wing loadings for weak and strong soaring weather. 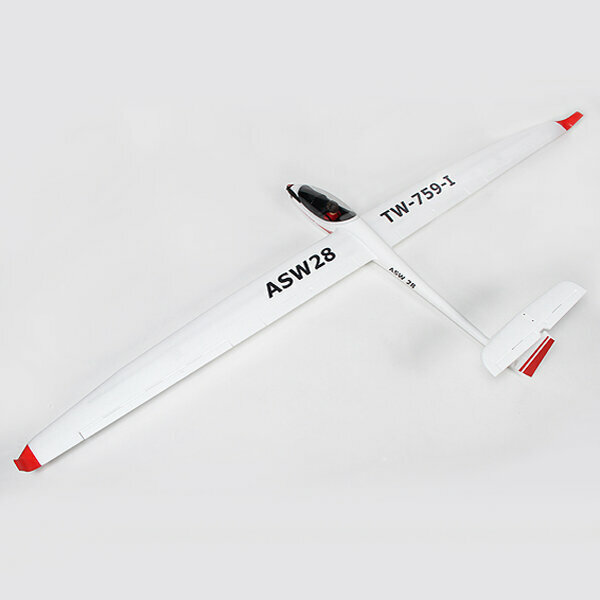 Volantex ASW 28 is a sport scale model that does incorporate flaps unlike its full scale counterpart. It comes plug and fly so you just need to complete some final assembly, install your battery, receiver and fly. 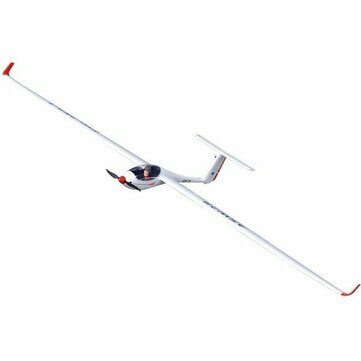 The airframe is a mix of EPO foam for the wings and tail, with a blow molded plastic fuselage. This gives a slick finish that is also extremely durable. Great for those less than perfect slope sites. A powerful 4018 850kv brushless outrunner motor rockets the ASW 28 to altitude, then when you throttle down, the propeller folds back for extended soaring. Accessing the battery is easy through the canopy with four small snap locks that keeps the canopy secure. This Version 2 comes with lots of extra features. The wings come with two spars in each wing to give extra strength during those tight turns and power dives. Installing the wings is now easier with a plastic latch for securing the wings. Inside there is now a bigger plywood tray to make it easier to carry FPV camera's, VTx's or other electronics. Landings are now a lot easier with the inclusion of landing gear. No more scraping the fuselage.